Tebo & Akimoto Mini-Z Sport Buggies From Kyosho « Big Squid RC – RC Car and Truck News, Reviews, Videos, and More! 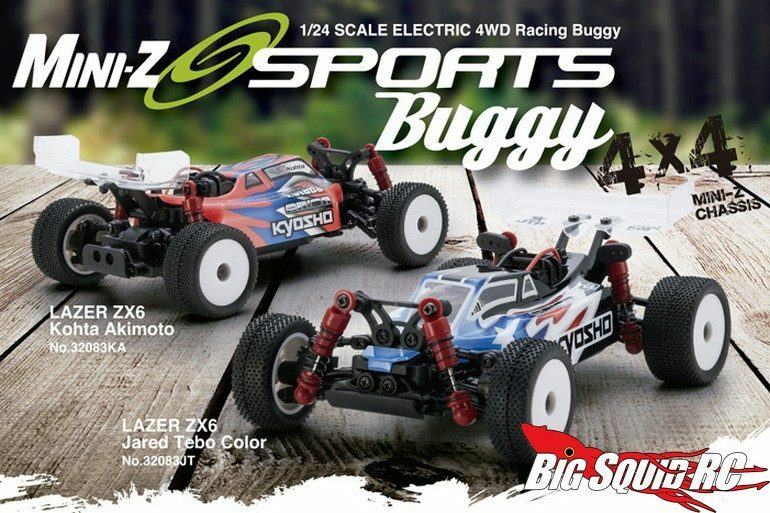 New for the small scale crowd are Jared Tebo and Kohta Akimoto Sport Edition Kyosho Mini-Z Buggies. The Sport Edition of the Kyosho Mini-Z buggy is an affordable entry level option compared to other Mini-Zs, soon they will be available with the paint scheme of a pair of Kyosho’s top drivers. The part number for the Tebo edition is #32083JT while the part number to get an Akimoto edition on the way is #32083KA. Want more details? Find them at This Link on Kyosho’s website. Read more Kyosho News right here on BigSquidRC.